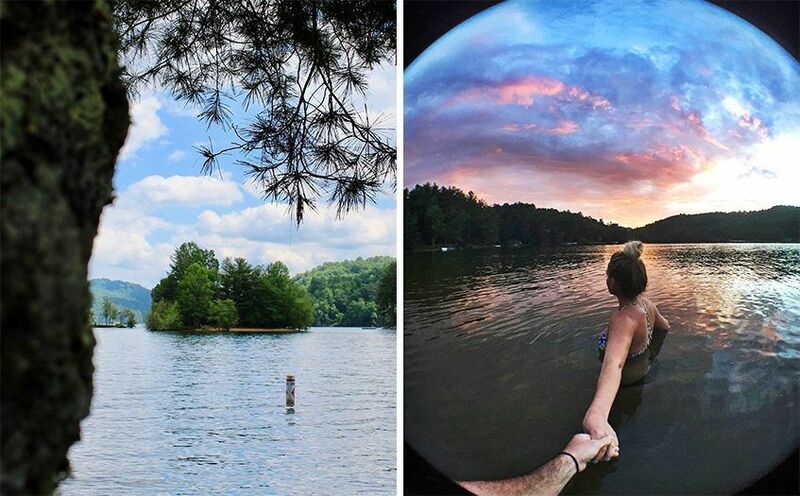 As temperatures start to rise, beat the heat and cool off in the picturesque mountain lakes of Jackson County, North Carolina. Home to Cashiers, Cherokee, Dillsboro and Sylva, Jackson County is 495 square miles of beautiful nature and outdoor fun. Around each corner, the lakes of the county delight with opportunities to view pristine scenery and take a dip into the crisp water to beat the summer temperatures. From fishing and swimming to kayaking and boating, you will not have a difficult time finding the perfect lake or water adventure for your outdoor summer escape in Jackson County. Want a safe, fun, sandy beach for the kids without the danger of sharks or rip currents? 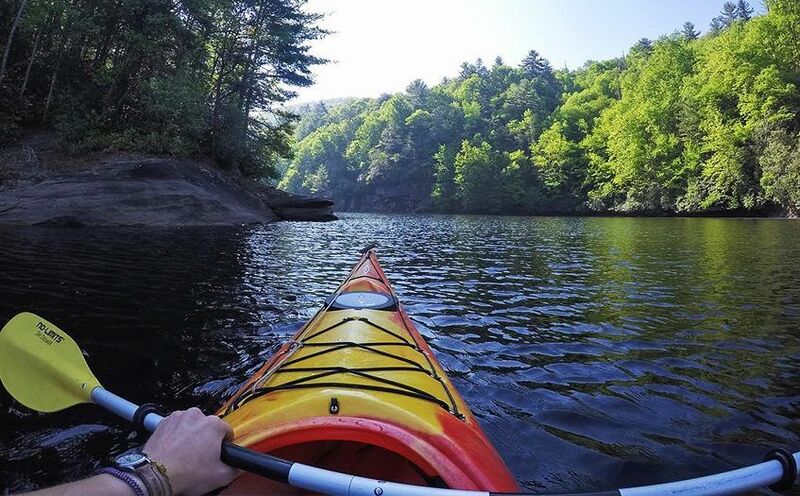 One of the best kept secrets of the Western NC mountains, Lake Glenville is also one of the highest-elevation lakes east of the Rocky Mountains at 3,500 feet above sea level. One of the largest lakes in the county, Lake Glenville features an expansive 26 miles of shoreline, seven islands and three gorgeous waterfalls. Fishermen will find endless supplies of large and smallmouth bass. If fishing isn’t your fancy, stop by Signal Ridge Marina where you can rent pontoon boats, tubes, paddleboards, skis, wakeboards and kneeboards. For something a little faster paced, Lakeshore Marina offers Ski-Doo rentals. Prefer to stay landlocked? No problem, there are also hiking trails and a sand beach perfect for lounging. Nestled in the Blue Ridge Mountains, Cedar Cliff Lake is the lowest in elevation, and is one of the most picturesque bodies of water in NC. The lakes narrow, elongated shape is perfect for canoers and kayakers to navigate. Although not stocked by North Carolina’s Wildlife Resources Commission, the 121-acre lake possesses one of the most impressive largemouth bass population, thanks to the lake’s proximity to the Tuckasegee River. Other fish species that reach impressive sizes in the lake include trout, musky, and smallmouth bass. Looking to make a night of it? The lake’s beautiful location makes it a camping hotspot, so snuggle up and take in a mountain sunset. Looking for a quieter day on the water? Tanasee is the place for you. Due to the lake’s smaller size, larger motor boats are prohibited, making it the perfect spot to cast a line from a canoe. The lake is ideal for those looking for a more secluded spot to take a dip and soak in the beautiful natural settings of the area. 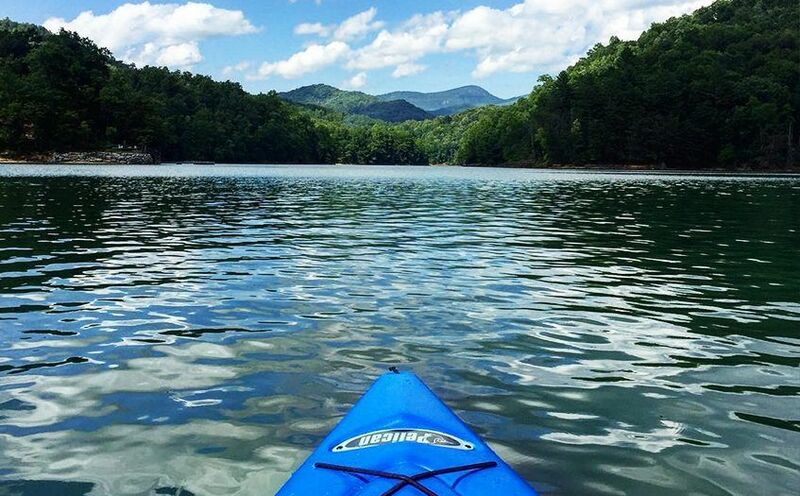 Boasting shorelines within the Nantahala National Forest, the Tanasee Creek Lake provides 40 acres of great fishing and paddling. A small concrete launch ramp is available to easy boating access. Set aside the day and explore the other smaller lakes of the county that are on the same route, including Wolf Creek and Bear Creek. Bear Creek Lake has the reputation of being one of the cleanest lakes in Western NC. Known as a quieter and less crowded lake, Bear Creek is a great spot to kayak and canoe, but is also large enough to set sail on a pontoon or motor boat and even cruise around on water skis. Bear Lake is regularly stocked with fish by the North Carolina Wildlife Commission, making it a very popular stop for anglers as well. 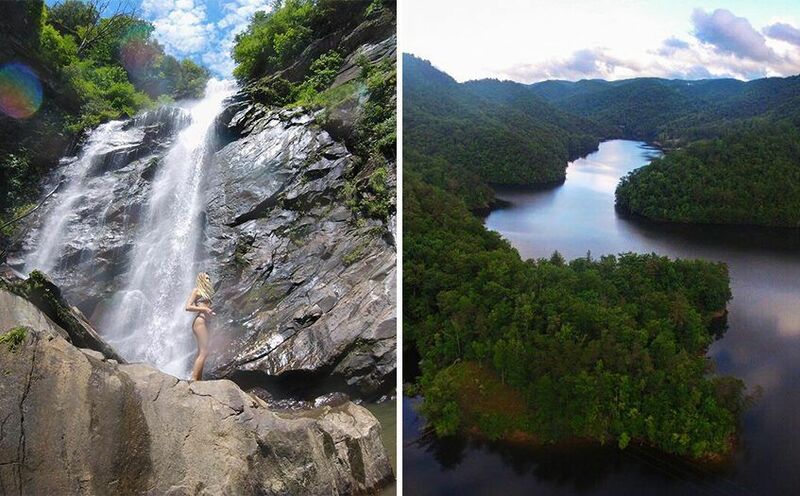 Exclusive to lake-goers, a visual treat awaits those who find their way to the 120-foot-high Sols Creek Falls. Known as a paddlers paradise, the scenic and peaceful Wolf Creek Lake is a 183-acre, high-elevation lake that offers a variety of water adventures. Complete with a concrete ramp for easy boat entry, the lake contains plentiful brook, brown and rainbow trout for those looking to catch their dinner. One of the coolest hidden secrets about Wolf Creek Lake is that it is connected to Tanasee Creek Lake by an underground rock tunnel. 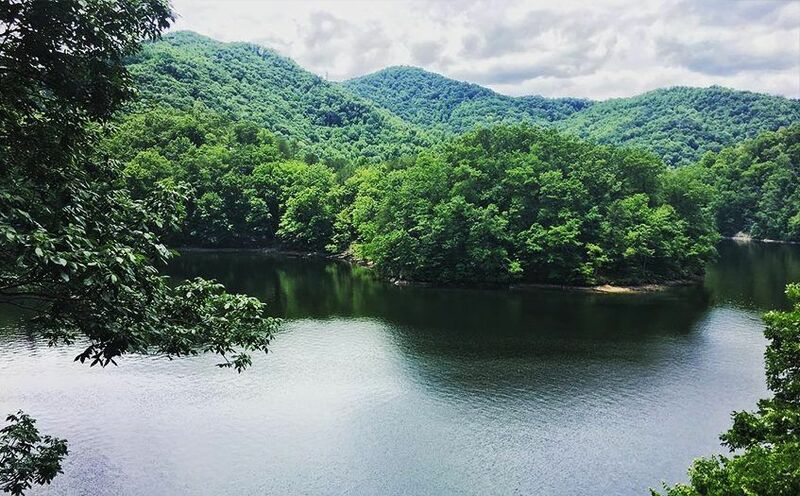 Located in Roy Taylor National Forest and surrounded by the Blue Ridge Mountains on the Nantahala District, Balsam Lake provides a serene setting for visitors with amenities, such as a public day-use picnic area and an accessible lakeside trail with fishing piers. Non-motorized boats are the only ones allowed on this lake. Lodging on the lake (by reservation) is also available for those looking to focus their visit around the water. Each lake offers a different way to experience Jackson County’s outdoor wonders, so pack up your fishing pole, cooler and swimsuit for a day-, weekend-, or week-long getaway. Plan your Jackson County escape by the lake at www.DiscoverJacksonNC.com. The Solar Eclipse Is Coming: Do You Know Where You’ll Be?